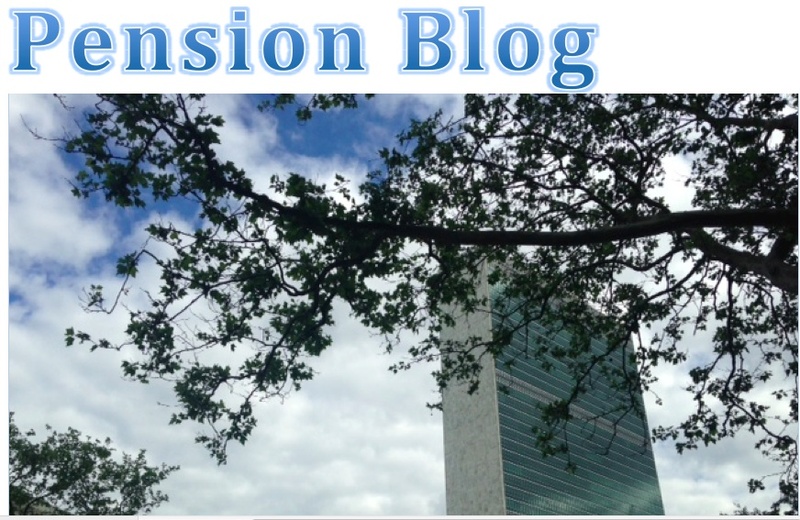 Thank you for your letter of 23 June 2015 in response to the request made by 82 AFICS members for an extraordinary meeting to discuss proposed changes in the UN Joint Staff Pension Fund, and related issues that are to be presented to the upcoming session of the Pension Board. While we appreciate that the Governing Board may not be fully convinced of the need for an extraordinary meeting, please understand that there are 82 members of AFICS who remain convinced of such a need, and who have requested in accordance with the AFICS by-laws that it be convened prior to the upcoming meeting of the Pension Board. On the matter of timing, we would disagree with your perspective that there is no urgency to convene this meeting. Clearly, the AFICS Governing Board has taken a position on this vitally important matter, and that position will be presented to the Pension Board at its upcoming session. As was reflected at the Annual General Meeting, the position taken by the AFICS leadership does not necessarily reflect the views, or speak to the concerns of the AFICS membership at large. It was for this reason that a motion was made, and seconded, for a follow up meeting to be convened to address the matter of the Pension Fund more comprehensively. This action was subsequently followed up by the request from 82 members who share the view that the superficial treatment of this important issue at the AGM was inadequate and wanting. The requested meeting is, therefore, in fact urgently needed to ensure/confirm alignment between the position being taken by the AFICS leadership and the members at large, and which is to be presented at the upcoming session of the Pension Board. Please note that the operative word is “shall”. Where the AFICS Governing Board appears to perceive an option in this regard, the by-laws clearly stipulate an obligation. We wish to note as well that during our meeting, you voiced several assumptions, with which we took issue at the time, but which clearly persist, as evidenced by statements in your letter. One assumption is that “answers to the ‘perceived gaps in information’ have been provided;" another is that “if some retirees continue to lack trust in the information/assurances that have been provided, further meetings would not dispel this mistrust”, and third, that we, the attendees at the meeting and our collaborators, are the only ones dissatisfied with the information provided and are misleading those who have signed the request, whom, you state, “may be unaware of the latest information provided by the Administration at the Assembly”. We particularly take exception to the characterization of our request by “Many members of the Governing Board [as an] attempt to discredit an Assembly which had been highly informative.” The purpose of general meetings is not just to hear from the managers of the Fund or other senior UN officials, but to hear from the membership as well. Furthermore, AFICS has an obligation to reflect the views and concerns of the membership in its public statements independently of the opinions of the Fund managers. We wish to note that your letter neglects to mention important information that was provided to us at the meeting, by you personally, which has not been made available to the AFICS membership, regarding deliberate leaks to the media by the Representative of the Secretary-General, later retracted, of the Fund’s intent to increase alternative investments. What would be the RSG's purpose in leaking such information to the press were there no intention to shift the investment policy in such a direction? These remain unanswered questions that are in fact worrisome to many of the members at large. Further, your letter makes no mention of what Mr. Sach described in the meeting as a “key worrying element” in the draft Memorandum of Understanding, thereby acknowledging the validity of our own concerns in this area. The element to which he referred relates to the potential to breach the split between the liabilities and investment sides of the Fund, which is widely believed to be one of the pillars on which its health is based. We were told that there is a new draft of the MOU which does not contain this potential risk. However, to be clear, this version of the document remains to be circulated. It is unfortunate that your letter, copied to the signers of the request, strives to discredit our efforts toward more transparency in Pension Fund matters. It is apparent that were it not for those efforts, and the efforts of others, there would have been no town hall meeting, or redrafted MOU. It is also highly possible that the assurances from high-level officials concerning the MOU and investment policy are based on shifts in strategy because of the added transparency our efforts have brought to the issues. We remain dissatisfied, and contrary to your assertions, so do many AFICS members, that given the importance of the issue, the AFICS leadership has not itself considered it necessary to hold a meeting devoted to Pension Fund matters during the past year. Instead, it has chosen to trivialize and dismiss the efforts of its members who have been calling for a more comprehensive discussion on the issue with a view to promoting greater transparency and accountability. It is in this spirit that we reiterate our earlier request under Article IV of the AFICS by-laws that an extraordinary meeting be convened to take up this matter prior to the upcoming session of the UNJSPF Pension Board. We are hereby requesting that you post this response on the AFICS website.